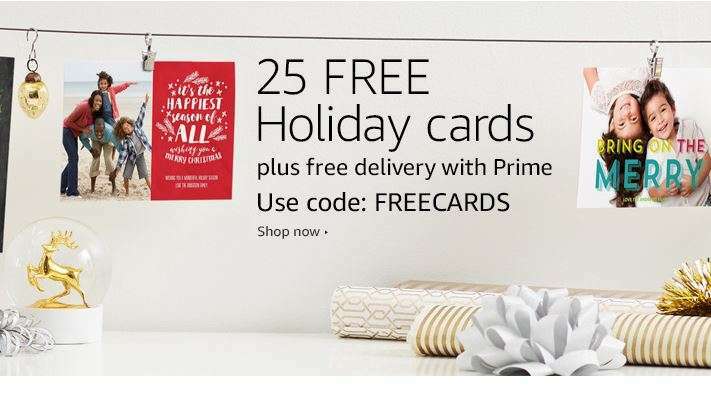 Choose your best family photo quickly because today only Amazon Prints is offering 25 FREE personalized holiday cards! Use code FREEPRINTS at checkout to get this deal. There are lots to choose from and includes double-sided cards printed on cardstock. Plus, if you’re a Prime member, they’ll ship for FREE! If you don’t have a Prime account, this would be a great time to try a 30-day FREE trial.